Miss Congeniality is a 2000 comedy starring Sandra Bullock as Gracie Hart, an FBI agent who undergoes an extreme makeover in order to go undercover as a contestant in the Miss United States beauty pageant. Bullock would return as Gracie in the 2005 sequel Miss Congeniality 2: Armed and Fabulous. 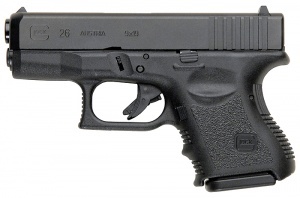 FBI Special Agent Gracie Hart (Sandra Bullock) uses a Glock 26 throughout the film. She pulls it on a mobster during the sting at the beginning of the film. 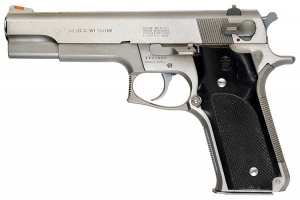 Later, while undercover at the Miss United States pageant, she pulls it from her hip holster and points it at Victor. 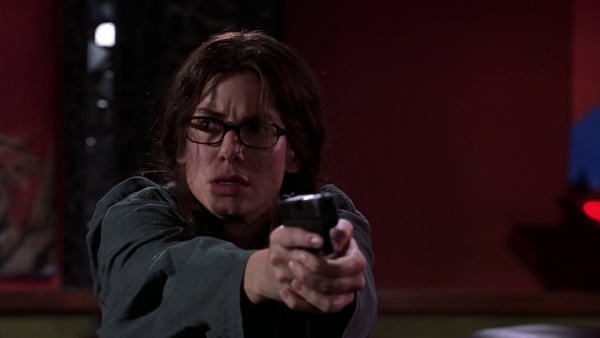 While undercover, FBI Special Agent Gracie Hart (Sandra Bullock) draws her Glock on a mobster. Notice the trigger discipline. Fed up with all the restrictions, Gracie pulls her Glock on Victor Melling (Michael Caine), to stop him from arguing. Gracie carries what appears to be a full-size Glock 17 as her on-duty sidearm. It's briefly glimpsed when she is discussing the situation at FBI headquarters. 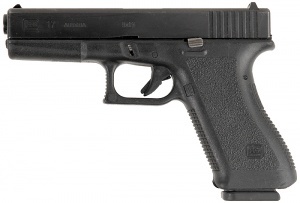 Glock 17 2nd Generation - 9x19mm. Gracie with her Glock holstered. 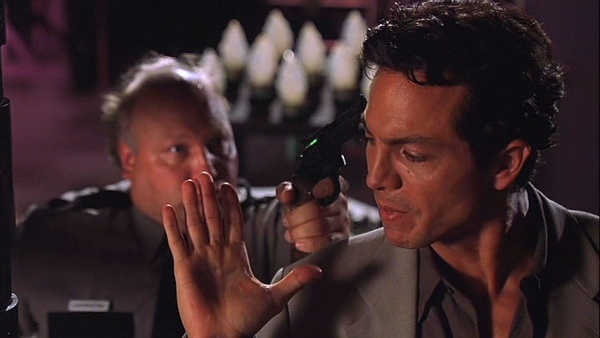 A Springfield Armory Custom Professional 1911-A1 is carried by FBI Special Agent Eric Matthews (Benjamin Bratt). 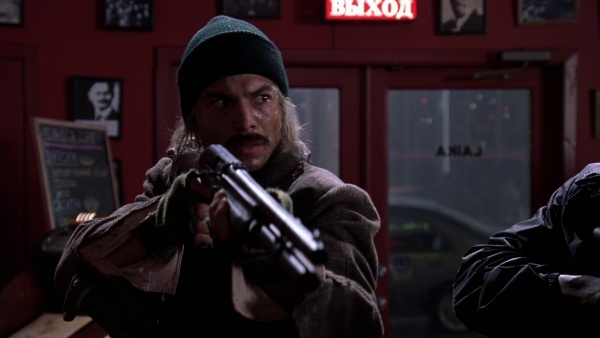 FBI Special Agent Eric Matthews (Benjamin Bratt) Matthews wields his Springfield Professional while undercover. 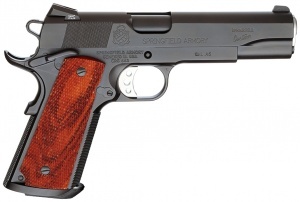 Matthews is confronted by a security guard, Springfield Custom Professional 1911-A1 in-hand. 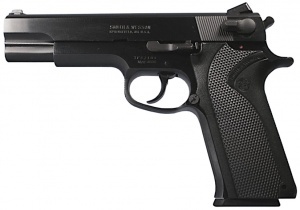 Note the flared magazine well in this shot, a good indicator this is a Springfield Armory Custom Professional. Gracie notices a Texan in the crowd with what appears to be a holstered Smith & Wesson 645. Thinking he is a threat, she yells "gun!" and tackles him, only to be told later that "everyone in Texas has a gun." A man in the crowd reveals that he has a holstered S&W. A mobster is seen with a Smith & Wesson 4505. 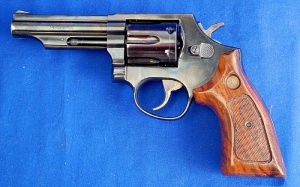 The mobster wields a S&W 4505. A pageant security guard is seen pulling what appears to be a Taurus Model 65 on Eric backstage. 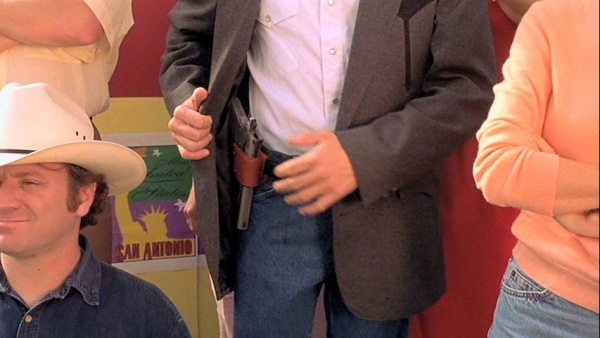 Special Agent Matthews, while wielding his Springfield Custom Professional, has what appears to be a Taurus Model 65 held on him. The security guard with his revolver on Matthews. 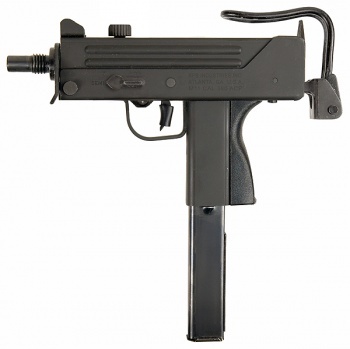 A MAC-11 is used in the opening shootout. 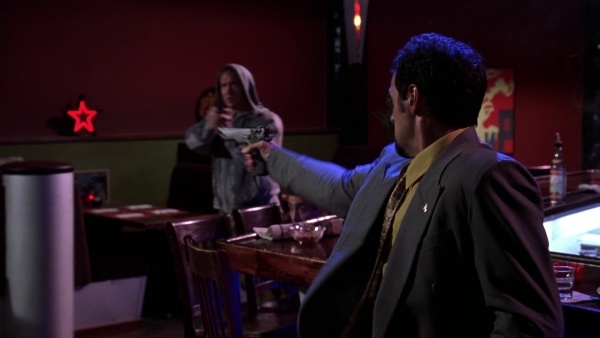 A mobster hurries along, dual-wielding MAC-11s. 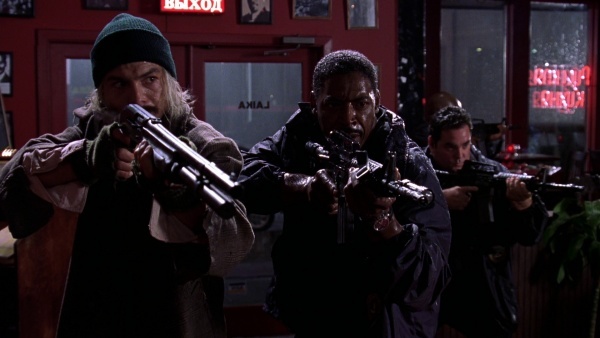 Several FBI agents including Assistant Director Harry McDonald (Ernie Hudson) are seen with M4A1 carbines fitted with tactical lights during their raid of the restaurant. FBI Asst. 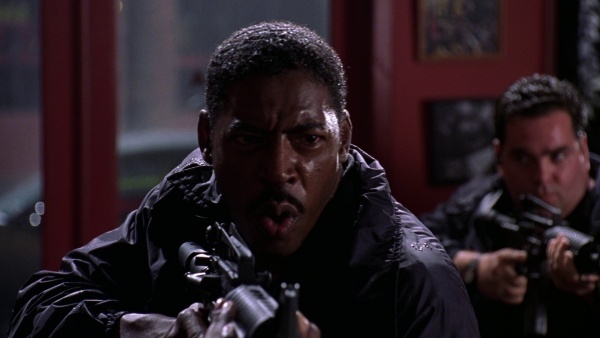 Director Harry McDonald (Ernie Hudson) holds the M4A1 during the raid on the mobster's restaurant. AD McDonald holds the M4 as Matthews holds the Benelli. 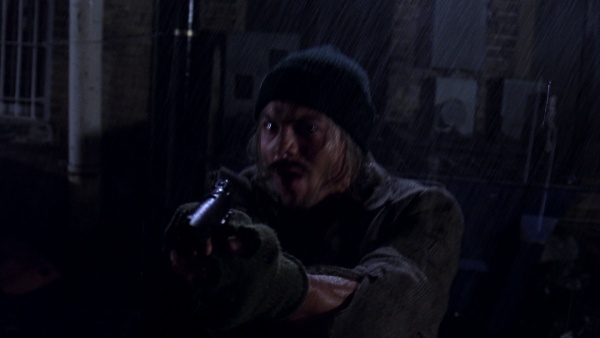 Matthews also is seen with a Benelli M1 Super 90 during the raid. 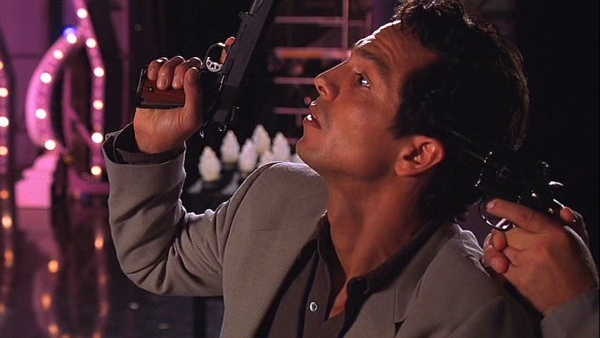 Special Agent Matthews (Benjamin Bratt) wields a Benelli M1 shotgun. 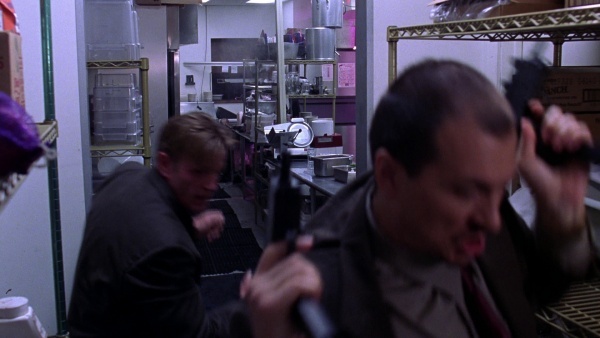 Matthews holds the Benelli as AD McDonald and another agent wield M4A1 carbines.